The GCC Food Pantry is an official site of Franklin County Community Meals, Inc., located in N240 on GCC’s main campus. Given the inherent struggles of being a student while holding down a job and/or raising a family, all GCC students and staff, who could use a little help making ends meet, are invited to stop by the GCC Food Pantry to learn more about immediate and long term food resources in our community. If you are interested in making a donation to the pantry or volunteering your time, please contact Natalie Feliciano at felicianoN@gcc.mass.edu or Jan Ross at ross@gcc.mass.edu. 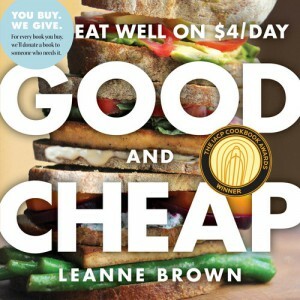 Download Good and Cheap, a FREE guide to eating well on a budget! Grant funding for this project has been provided through the generosity of the Community Foundation of Western Massachusetts and the UCC Women’s Home Missionary Union. We gladly accept donations to the Food Pantry! Donations of non-perishable items can be left in donation boxes around campus, or delivered to the Food Pantry in North 240. Donations of perishable or frozen items are accepted only at the Food Pantry during open hours. Checks should be made out to the GCC Foundation with “Food Pantry” in the memo line. Please also consider a monetary donation so we can buy more food! Our GCC shopping wizards can work magic using money that you donate. The Veterans Center in N215 offers free PBJ sandwiches and coffee every day. Did you know? Many of our campus activities for students include free light refreshments. Below is a list of upcoming events (when available) with free food for participants (and yes, you should expect to participate if you’re eating). If you would like to donate a different amount, please give to the GCC Foundation and indicate that you would like to designate your gift to the GCC Food Pantry.